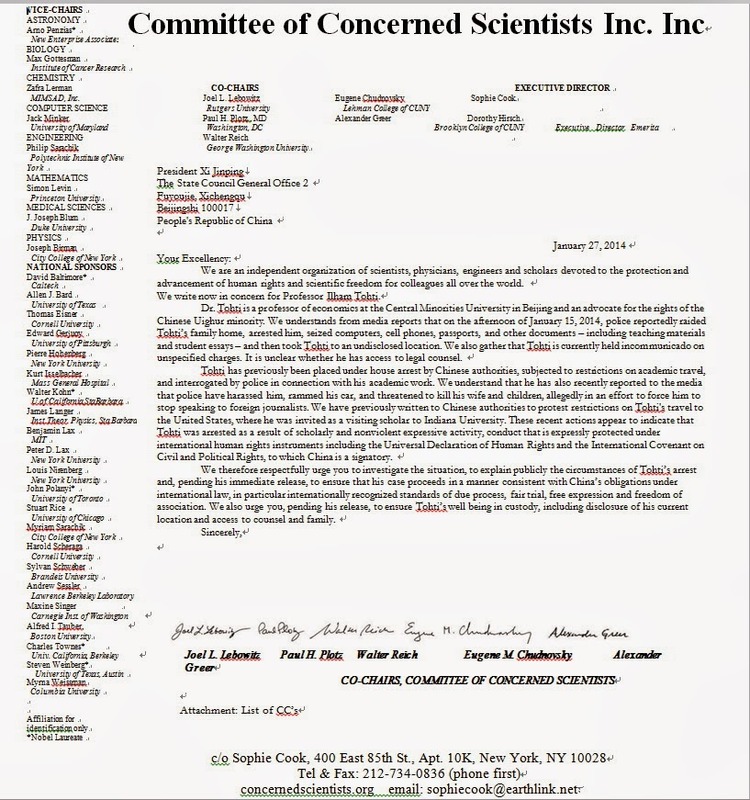 We are an independent organization of scientists, physicians, engineers and scholars devoted to the protection and advancement of human rights and scientific freedom for colleagues all over the world. 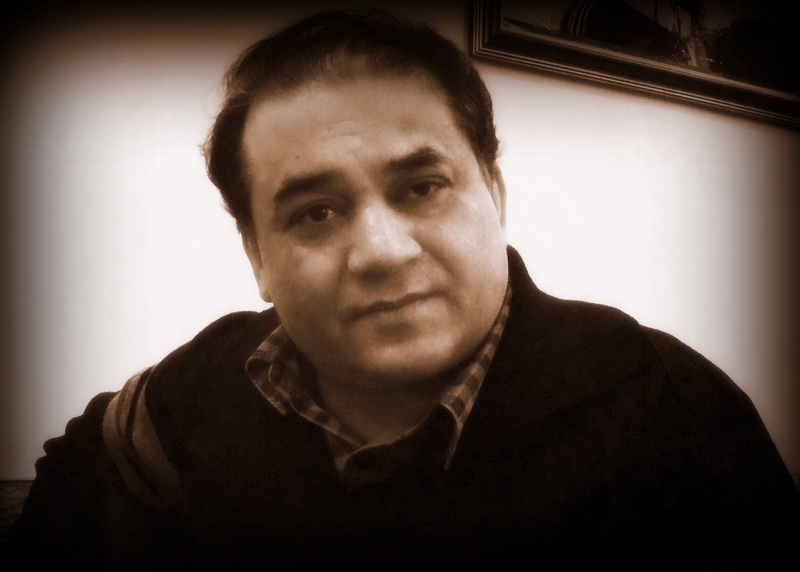 We write now in concern for Professor Ilham Tohti. Dr. Tohti is a professor of economics at the Central Minorities University in Beijing and an advocate for the rights of the Chinese Uighur minority. We understands from media reports that on the afternoon of January 15, 2014, police reportedly raided Tohti’s family home, arrested him, seized computers, cell phones, passports, and other documents – including teaching materials and student essays – and then took Tohti to an undisclosed location. We also gather that Tohti is currently held incommunicado on unspecified charges. It is unclear whether he has access to legal counsel. Tohti has previously been placed under house arrest by Chinese authorities, subjected to restrictions on academic travel, and interrogated by police in connection with his academic work. We understand that he has also recently reported to the media that police have harassed him, rammed his car, and threatened to kill his wife and children, allegedly in an effort to force him to stop speaking to foreign journalists. We have previously written to Chinese authorities to protest restrictions on Tohti's travel to the United States, where he was invited as a visiting scholar to Indiana University. These recent actions appear to indicate that Tohti was arrested as a result of scholarly and nonviolent expressive activity, conduct that is expressly protected under international human rights instruments including the Universal Declaration of Human Rights and the International Covenant on Civil and Political Rights, to which China is a signatory. We therefore respectfully urge you to investigate the situation, to explain publicly the circumstances of Tohti’s arrest and, pending his immediate release, to ensure that his case proceeds in a manner consistent with China’s obligations under international law, in particular internationally recognized standards of due process, fair trial, free expression and freedom of association. We also urge you, pending his release, to ensure Tohti’s well being in custody, including disclosure of his current location and access to counsel and family.